an adjunct policy researcher in the Department of Defense and Political Sciences (DPS) at RAND Corporation. 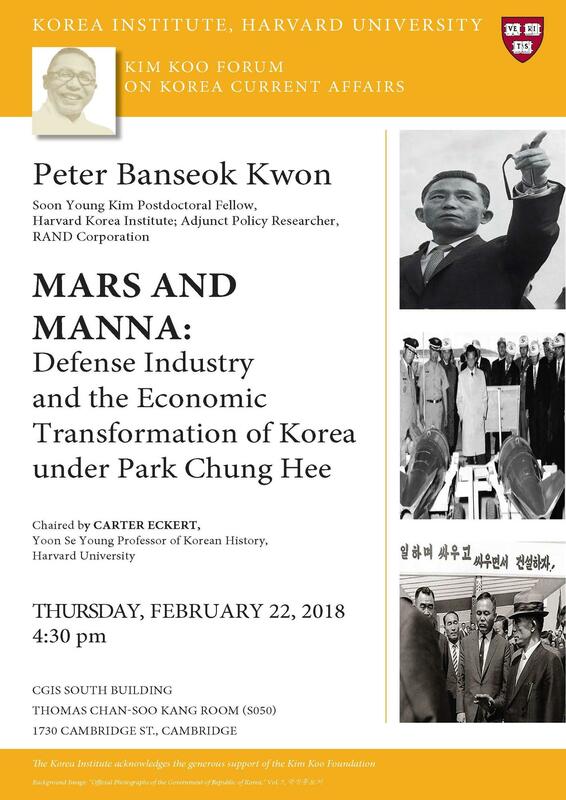 shaping postcolonial Korean industrial, socio-economic and cultural transformation from 1945 to the present. the Pre-Doctoral Fellowship from the Academy of Korean Studies, and grants from the Harvard Korea Institute. developing nations during the Cold War period. often referred to as the “Miracle of the Han River,” under the Park Chung Hee administration (1961-1979). as a military-civilian synergy spurred unprecedented development in both military and commercial production.